For most of us, when we think of hazards, falling isn’t the first thing that typically comes to mind. However, every year more than 37.3 million falls are deemed severe enough to require medical attention. According to the World Health Organization, falls are the second leading cause of accidental or unintentional deaths across the globe. There is a massive range of contributing factors that could lead to a serious fall that include illness, mental conditions, environmental hazards, poor vision, muscle weakness and much more. With that being said, the more you age, the higher your risk of severely injuring yourself if you fall. According to statistics provided by the CDC, it’s estimated that one in three older adults fall every year. With the odds of falling deaths increasing every year, effective strategies are needed to render aid to those who have become incapacitated due to a fall. Let’s take a look at the top 5 strategies for implementing fall detection. Pressure and motion sensors have proven to be effective at dealing with fall detection in nursing homes and hospitals. Elderly residents are monitored by pressure and motion sensors that are placed on toilet seats, beds, chairs, tables, and floors. If a sensor is set off the medical staff is notified right away. 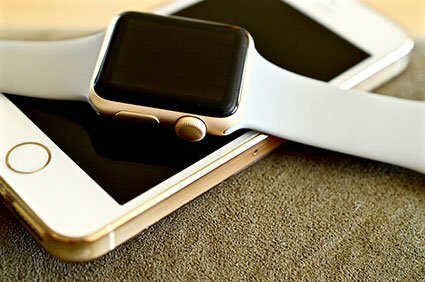 Hi-tech sensors will have audible alarms or even pre-recorded messages that will instruct the user on what they should do until professional medical assistance arrives on the scene. Though these sensors work great for tracking fall detection, there’s a possibility they may be set off accidentally by applying too much weight to a sensor. Some sensors may be set off if they’re re-positioned. Keep this in mind if you decided to use a pressure or motion sensor. Wearable fall detection devices use advanced analytics to measure the orientation and gait of the user. With this design, wearable fall detectors will send out an alarm if the sensor has experienced a motion that resembles a fall. Wearable fall detectors come in a variety of shapes and sizes that include glasses, belts worn around the waist, watches, pendants, and many other options. The vast majority of fall detectors will alert the proper authorities in the event of a fall. The more advanced fall detectors may even warn the user to adjust their posture to avoid falling over. The primary disadvantage of wearable fall detectors is they’re only effective when they’re being worn. This may become an issue for an elderly patient who may forget to put their detector on. This may become an even bigger issue for patients who struggle with dementia. Furthermore, there are many situations where wearable fall detectors are unfeasible. For example, it would be impractical to wear an electronic wristband in the tub. Just like with pressure and motion sensors, wearable fall detectors are also prone to false alarms. Standing up too quickly, clapping your hands together or quick movements of any kind may have the potential to set the alarm off. Using video surveillance to monitor the elderly is a controversial subject that has many people torn on its feasibility. On the one hand, video surveillance can help detect falls just as easily as the other options on this list. With newer cameras that can deliver a clean, crisp feed an observer should be able to monitor a patient with relative ease. Video surveillance also allows first responders to distinguish between real emergencies and false alarms. When it comes to human resources, a single dispatcher can potentially monitor hundreds of patients at any given time. This will keep costs low on both sides (for the provider and the patient), and it will allow the dispatcher to send help the moment they’ve visually confirmed a patient has fallen. With that being said, the obvious downside to video surveillance is lack of privacy. Patients who wish to maintain their privacy may have a difficult time adjusting to a video surveillance system. However, those who don’t mind giving up a bit of their privacy can rest assured help is never far away in the event of an accident. One of the more advanced strategies on this list is intelligent home monitoring systems. The system is designed to analyze how often home appliances are used. For example, if a senior citizen uses their coffee maker as part of their usual morning routine the system will note that action as “normal” behavior. If that behavior does not take place the following morning that may be an indication that a fall has taken place. Of course, missing a morning routine does not immediately mean a fall has taken place. However, missing several morning routines very well could indicate something is wrong. The most significant disadvantage of an intelligent home monitoring system is that if a fall takes place right before bed, then a patient may be on the ground all night long before the system would take notice of missed morning routines and issue a fall alert. Therefore, intelligent home monitoring systems aren’t necessarily the top choice for fall detection systems, but they’re certainly welcome for those who would like an extra layer of security. In hospitals and convalescent homes around the country, medical professionals physically check in on their patients. Physical monitoring is the most effective strategy on this list because a person, medical professional or other, is physically at the scene to help if a fall has taken place. The frequency of physical monitoring can range from a few days a week to 24/7 monitoring. Physical monitoring does indeed provide the most effective method to fall detection. However, this is a very resource intensive job. If a patient lives at home, that would require a home care professional to physically drive out to the house every day. Furthermore, if a patient falls and they only receive sporadic monitoring throughout the week, they may be on the ground for days at a time before help may arrive. Fall detection devices can save lives. 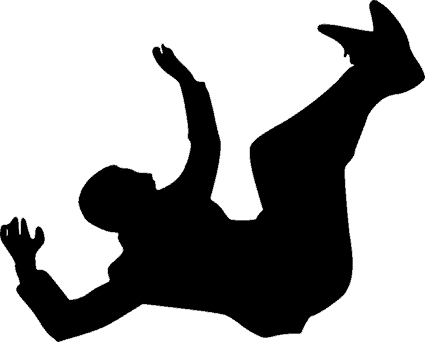 Though each strategy has its pros and cons they may be the only lifeline you have in the event of a bad fall. Choose the strategy you’re most comfortable with and give it a try.